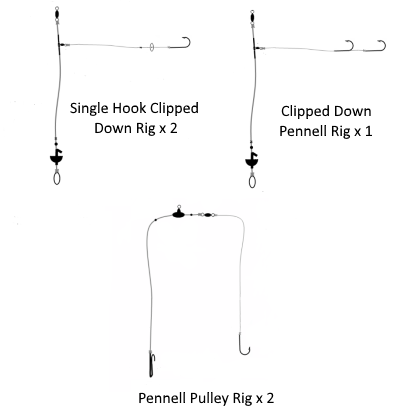 These rigs are designed for anglers fishing for large species such as big cod and bass, conger eels, rays and smooth hound. 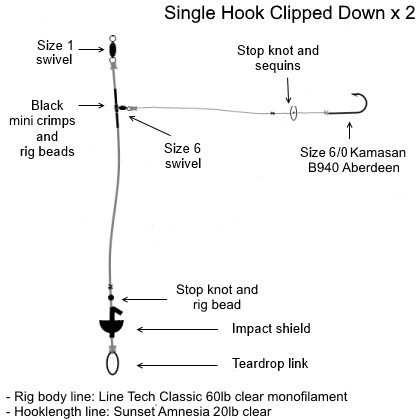 This set includes two single hook clipped down rigs with size 6/0 Kamasan B940 Aberdeen hooks. 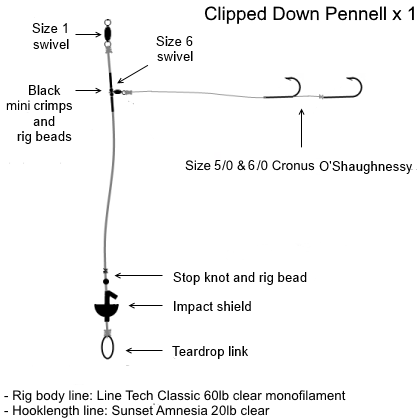 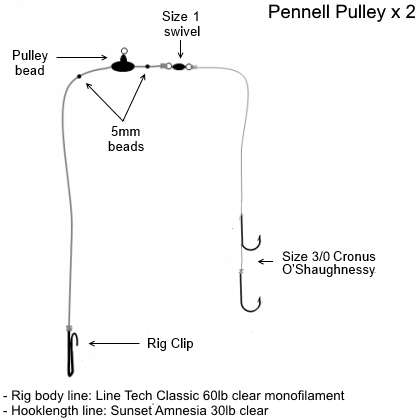 There are also two pulley rigs with size 5/0 Cronus O’Shaughnessy hooks for anglers targeting big fish over rougher ground and a clipped down Pennell rig with size 5/0 and 6/0 Cronus O’Shaughnessy hooks for anglers needing to cast big baits out the maximum distance.